Mount Everest is “only” 8848 meters high – ridiculously small compared to the current hike & fly world record of 11,865 meters! 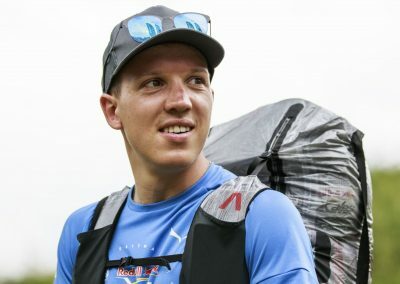 Tobias Grossrubatscher has decided to try and break this record. 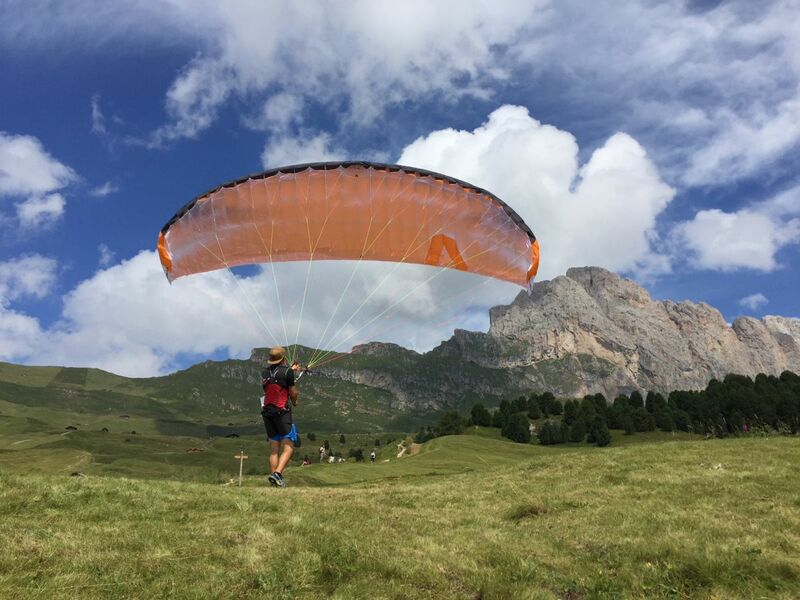 On June 23-24, the 24-year-old South Tyrolean will climb up to the Seiser Alm hike & fly-style, lay out his paraglider and fly down to the valley. 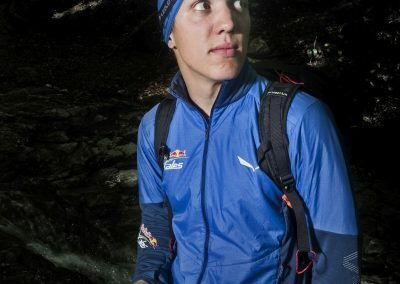 In total he will climb the Spitzbühl 13 times and 1 time up to the top of the Schlern, and fly down 14 times. For the record attempt, Tobias is, of course, using lightweight equipment from skywalk. The TONKA2, the PEPPER CROSS light and the new 35 liter backpack HIKE weigh less than four kilos, so you hardly notice them while hiking. “Cracking the record has been driving me for a while. 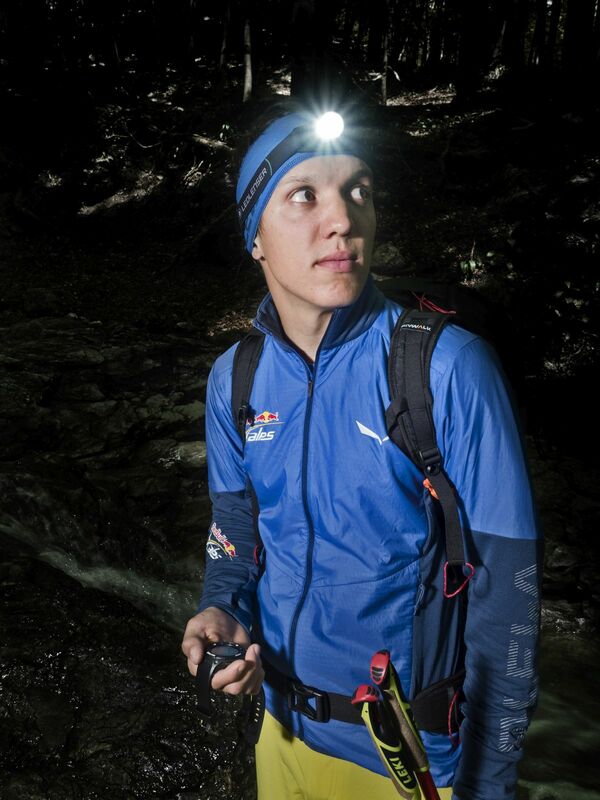 I’m optimally prepared with the best equipment to reach my goal!”, commented Tobias during his preparations. 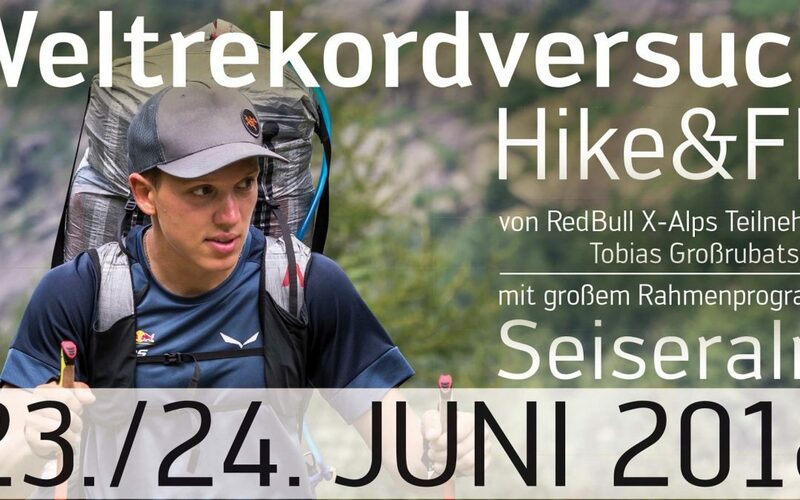 If you want to cheer on the young South Tyrolean, you are cordially invited! 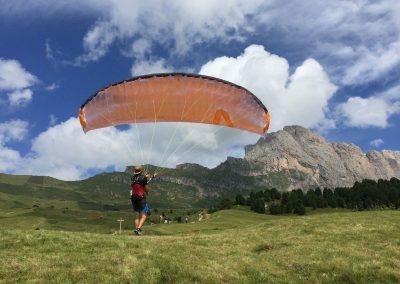 The record attempt will be accompanied by a cool event with live music at the Spitzbühl hut launch site at the foot of the Schlern massif, where all current skywalk paragliders can be tested. 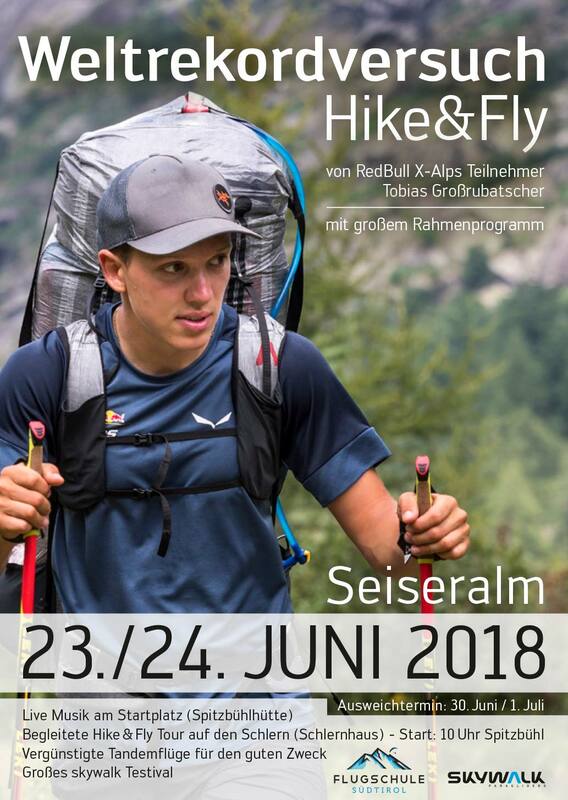 A hike & fly tour up to the Schlern will round out the event.